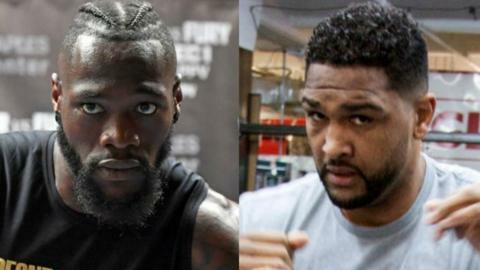 World heavyweight champion Deontay Wilder will defend his title against mandatory challenger Dominic Breazeale in New York on 18 May. The Barclays Center fight was ordered by the WBC, after Briton Tyson Fury opted for an alternative bout instead of a rematch with Wilder, 33. Breazeale, 33, has lost just one of his 21 fights - to IBF, WBO and WBA champion Anthony Joshua in 2016. Wilder became increasingly intense at a news conference to announce the bout, making reference to an altercation with Breazeale at an Alabama hotel in February 2017.